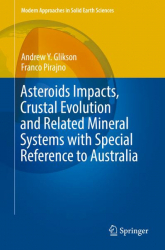 byte.to Asteroids Impacts Crustal Evolution and Related Mineral Systems with Special Reference to Australia - Filme, Spiele, Musik, Bücher und mehr kostenlos downloaden. 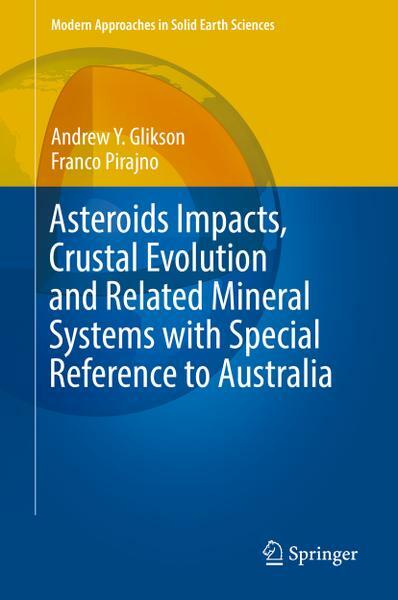 This book presents a comprehensive overview of Australian impact structures and related mineralization, including a discussion of the significance of many of these structures for crustal evolution. The book focuses in particular on Archaean impact ejecta/fallout units in the Pilbara Craton of Western Australia, large exposed and buried impact structures, and on the geophysical evidence for possible to probable impact structures. Thanks to their long-term geological stability, Precambrian and younger terrains in the Australian continent contain 38 confirmed impact structures and 43 ring and dome structures, many of which constitute possible to probable asteroid impact structures. The impact structures have been the subject of more than half a century of studies and range from several tens of meter-large craters to buried structures larger than 100 km in diameter. Discoveries of impact fallout units in the Pilbara Craton have defined the Pilbara as one of the two best documented terrains where Archaean impact ejecta/fallout deposits are identified, the other terrain being the Kaapvaal Craton in southern Africa. A synthesis of evidence from both cratons indicates periods of large asteroid bombardments during 3.47 – 2.48 billion years-ago, including peak bombardment about 3.25—3.22 billion years-ago. The latter period coincides with an abrupt transformation of an early Archaean granite-greenstone crust to mid to late Archaean semi-continental crustal regimes, underpinning the significance of heavy asteroid impact events for crustal evolution. Apart from proven impact structures, Australian terrains display a range of circular features, including morphological and drainage rings, circular lakes, volcanic craters, tectonic domes, oval granite bodies, mafic igneous plugs, salt diapirs, and magnetic, gravity and seismic anomalies, many of which are of a likely impact origin. Thermal and hydrothermal processes associated with impact cratering bear important consequences for the formation of mineral deposits, such as Ni at Sudbury, Pb-Zn at Siljan and Kentland. Impact structures may also provide sites for the accumulation of hydrocarbons, whereas in some instances fracturing associated with impact structures allows outward migration of oil and gas.